These little touches will make the meal memorable. With Thanksgiving just a few short weeks away, now's the time to order the little touches that will make your table feel special. Thankfully, the best Thanksgiving table decorating ideas aren't necessarily the most complicated or the most expensive. Simple details like a string of acorn-shaped lights, adorable pumpkin place cards, or Thanksgiving-themed party poppers can make the meal feel memorable, even before the turkey and pumpkin pie are served. Here are five of our favorite additions to the Thanksgiving table, all priced under $30. 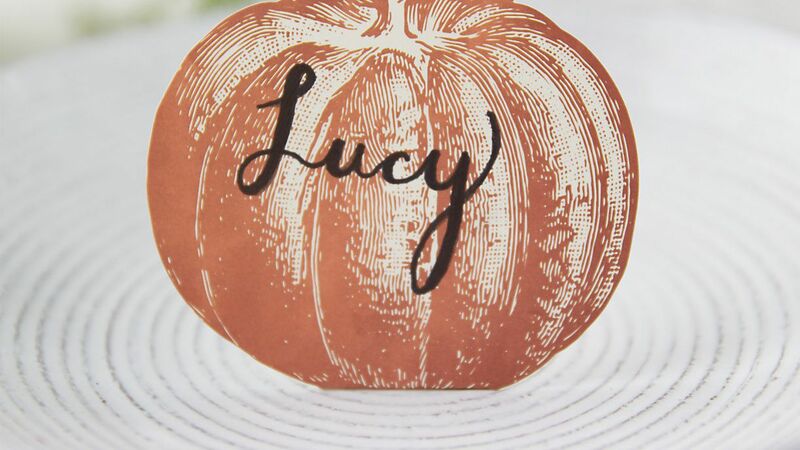 Make each guest feel special with a pumpkin place card with their name on it. Want to embrace the fall gourd theme? 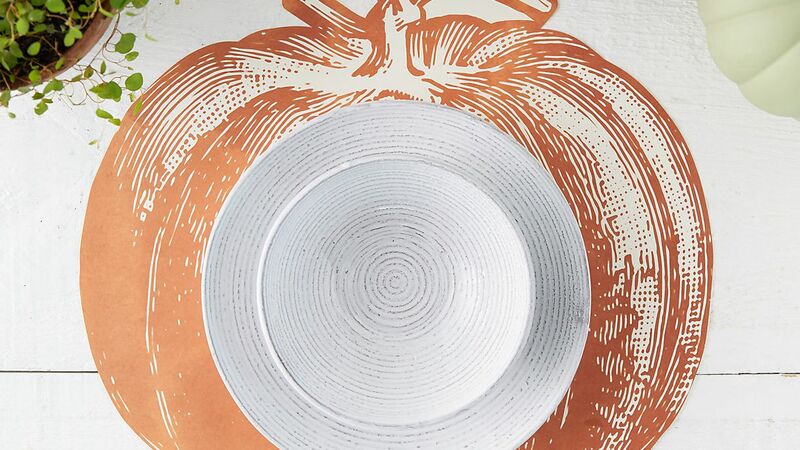 Add on this set of pumpkin paper placemats that make cleanup after the meal incredibly easy. The easiest way to make your Thanksgiving table feel special is to switch up the lighting. 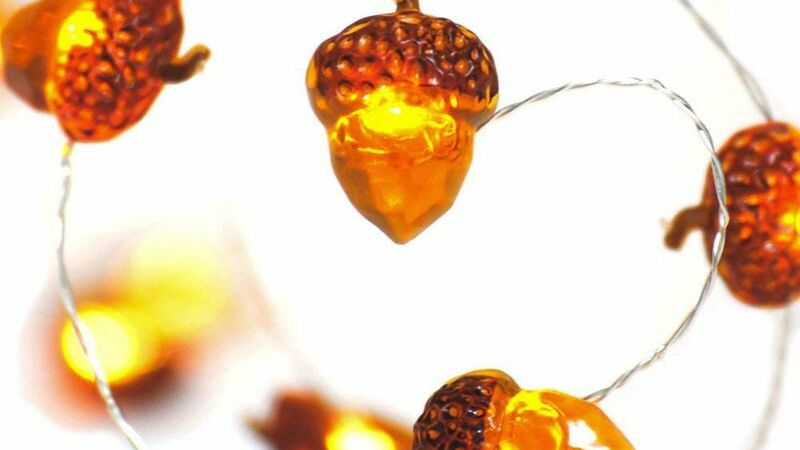 Dim the overhead fixture and deck the table with these acorn-shaped LED string lights. Weave these decorative lights around serving dishes, candlesticks, and the centerpiece to get the entire table glowing. Want a surefire way to make any holiday dinner a little more fun? 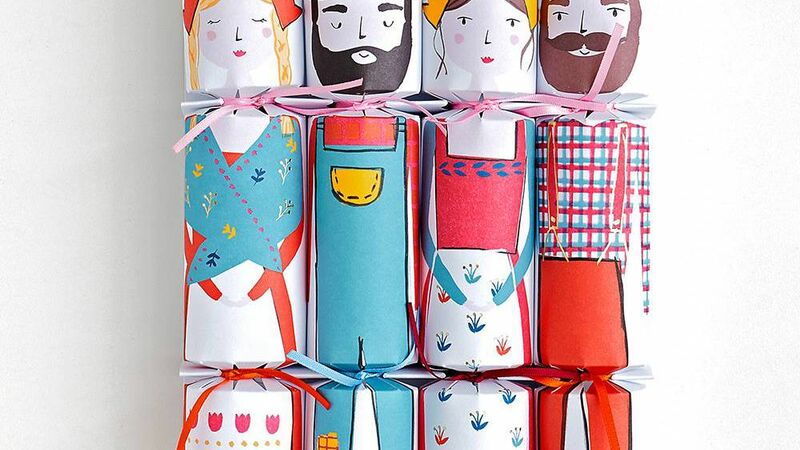 Take a tip from the British tradition and order a set of holiday poppers. These ones are Thanksgiving-themed, and come with a little toy and a joke to read aloud. Don't limit these to the kids' table—go ahead and get them for the grown-up table, too. To buy: $27 for 4, papersource.com. 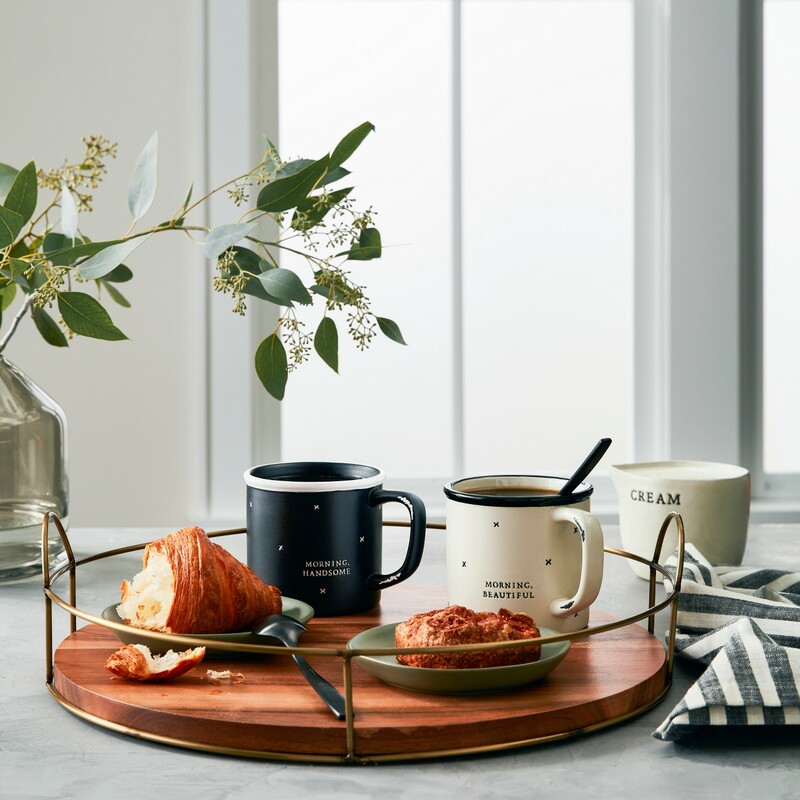 If you don't already own a large round serving tray, now's the time to invest in one. Set it in the center of the Thanksgiving table to make passing essentials (the cranberry sauce, gravy, and bread) easier. Or if you're serving buffet-style, fill the tray with several bottles or small vases of greenery and flowers to create an easy centerpiece. When the holiday's over, the tray will be perfect for serving breakfast on Christmas or New Year's Day. 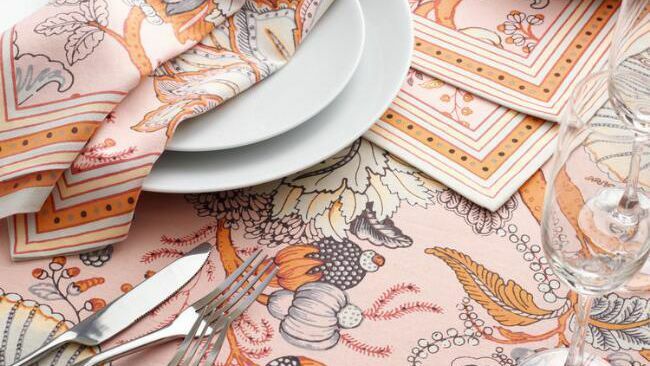 If you're in the market for a fresh set of table linens, the floral Aerin collection from World Market is a versatile design you can use for Thanksgiving and beyond. A mix of pink and orange makes this motif feel both trendy and seasonal. Bonus: It's all on sale, so this set is also very affordable. The tablecloth is only $14, while a set of four napkins is just six bucks. To buy: From $6, worldmarket.com.